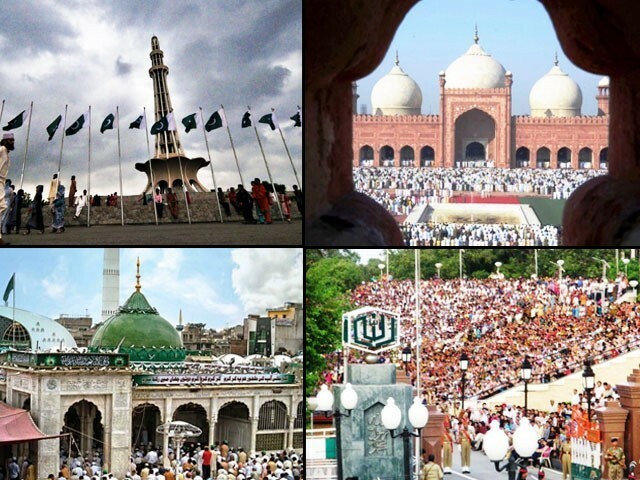 Lahore is the heart of Pakistan. Such is the affiliation and regard held for a city that has a profound historic charm, evergreen gardens, and food-loving people as some of its primary assets. With the emergence of new shopping malls, fashion boutiques and endless restaurants, the metropolis has further livened to keep up with the spiritedness of its vibrant citizens. Food is the primary entertainment for any Lahori. Even at night, Lahore’s roads are never devoid of cars, with many Lahoris en route their favourite food spots. On April 7, 2015, I spent the most memorable 36 hours in Lahore. While entering Data Darbar, South Asia’s oldest shrine, one has to pass through multiple security gates and a large number of devotees crowding the front porch. 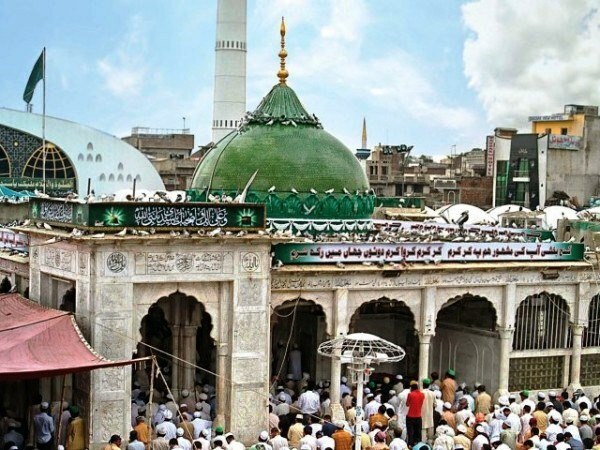 It is time for the afternoon lunch and all followers of the Sufi saint Hazrat Data Ganj Baksh have lined up to get their hands on a bowl of zarda (sweet yellow rice). Every day at the Darbar, food is served to hundreds of people, with qawalis occasionally playing in the background. 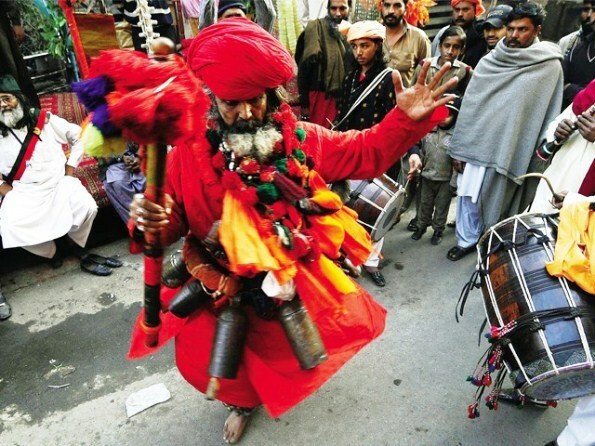 Devotees of the saint, often men with long hair and shabby clothes, are seen performing the dhamaal (Sufi dance) underneath the two pointed golden minarets. Everyday, numerous people from all backgrounds visit the shrine in order to gain blessings of their Lord by praying at the saint’s tomb. Lahore has many buildings that are marvellous reminders of history. 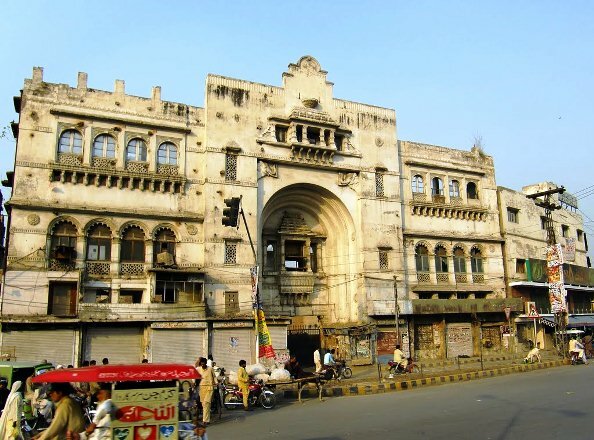 Government College (GC), amongst all universities of the city, is the finest example of gothic architecture. 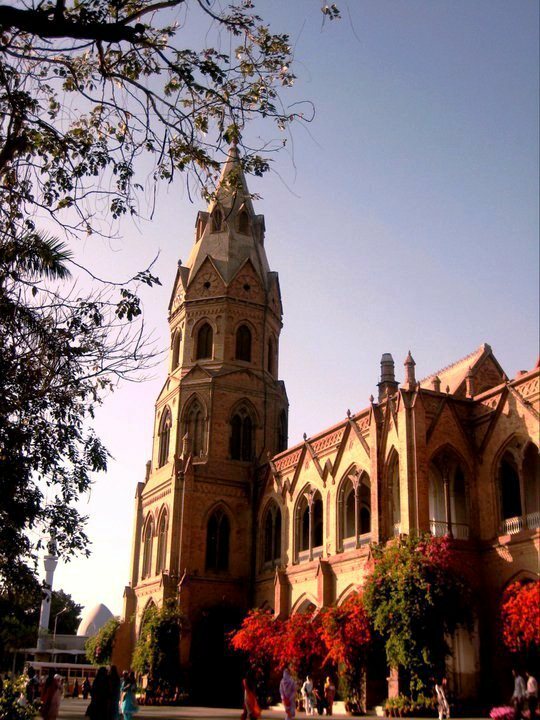 The building’s two spires protrude from enormous brown-bricked towers, under which many renowned men and women of Pakistan once roamed as students. The larger of these two towers is visible from many points at the nearby Mall Road, thereby further enhancing the magnificence and grandeur of the institution. Grey pigeons sit on the balconies and arched windows of the building as students stroll through the hustle and bustle of vast corridors. As the sun sets, the delicious aroma of mouth-watering pakoras, gol gappas, chicken tikkas, korma and haleem intensify in old Anarkali. Beautiful flower-shaped lights and lanterns now brighten up the atmosphere of this heavenly Food Street. There is a long queue of small restaurants, most of which are devoid of ample seating capacity. Therefore, small roadside tables are a hub for many families who like enjoying the street’s lighting and Lahore’s pleasant evening breeze. Yousuf Falooda is the oldest and most renowned dessert shop of the area, which serves three delicious toppings of rabri and ice cream floating in a sea of wobbly transparent noodles. With the genda (marigold) flower harvesting in spring, the Lahore Canal is adorned with beautiful lights hanging from trailing tree branches, colourful postures and bright artificial flowers. Best viewed at night, the canal, with traffic meandering alongside both its sides, is a nucleus of vibrant boats and colourful sculptures, all fixed upon stands inside its light brown water. Every year in spring, various students from the National College of Arts put a lot of effort into decorating the city’s long canal. 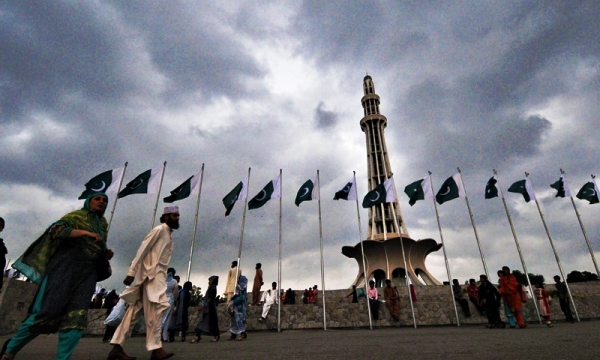 Located in Iqbal Park, the Minar-e-Pakistan (Tower of Pakistan) is 203 feet tall, with Pakistan’s national anthem inscribed inside the base of the structure. The top of the Minar can easily be reached either by stairs or the elevator. The tower’s site was the focal point where the call for Pakistan was given to the Muslims of the subcontinent back in 1940. The magnificent Minar is visible from the River Ravi Bridge, the nearby Lahore Fort, as well as from an airplane window during take-off. 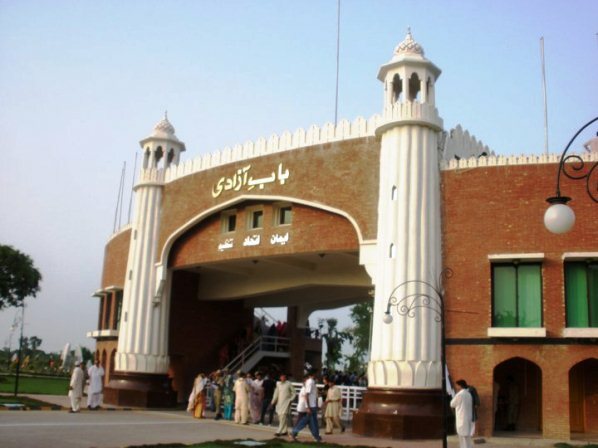 On account of its historical and national significance, Iqbal Park is the venue for many political rallies and protests in the country. 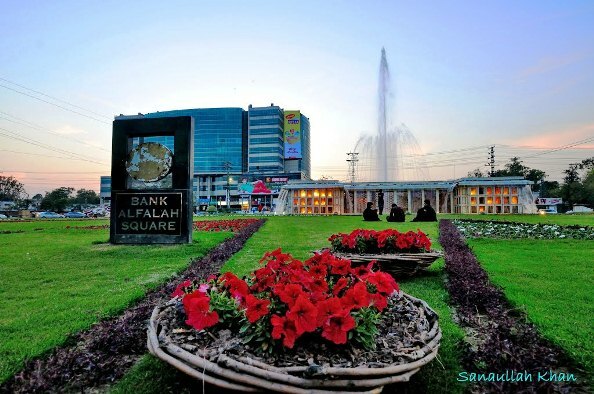 Lahore’s most historic, longest and busiest road is home to various monuments, parks, educational institutions and hotels; Midway Mall Road. There is a noteworthy white pillar, quite similar to the Washington Monument in DC. It is the Islamic Summit Minar alongside Charing Cross, a beautiful marble pavilion inside which lies a bronze replica of the Holy Quran. The 1974 Islamic Summit Conference, which holds immense historic significance, took place inside the adjacent building of the Punjab Assembly. Down the road is the beautiful maroon-bricked building of Lahore High Court, adorned by slender palm trees. This is the place where Zulfikar Ali Bhutto was sentenced to death. 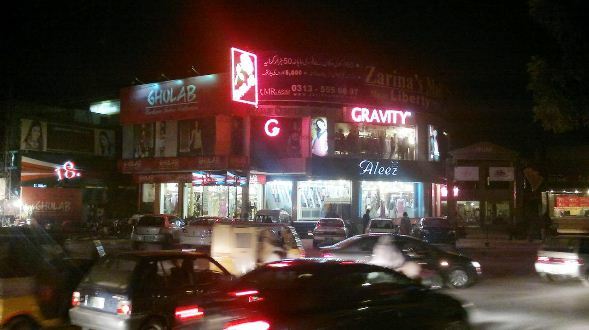 MM Alam Road is a busy two-way road hosting many flamboyant restaurants and designer boutiques. Named after the Pakistani Air Commodore Muhammad Mahmood Alam, who passed away in 2013. The commercial road now serves as a big shopping and dining centre. Village is one of the more popular restaurants on MM Alam Road, with an aesthetically pleasing mud-thatched building, artificial bullocks, and colourful hand fans, amongst its apt rural decor. Its evening buffet provides a good respite from adjacent lawn boutiques, since it provides a wide variety of sumptuous snacks like crispy-coated fish, spicy saag (spinach), savoury gol gappas, colourful lachas (marshmallows), richly creamed kulfis, crunchy makkai roti (corn bread) and much more. 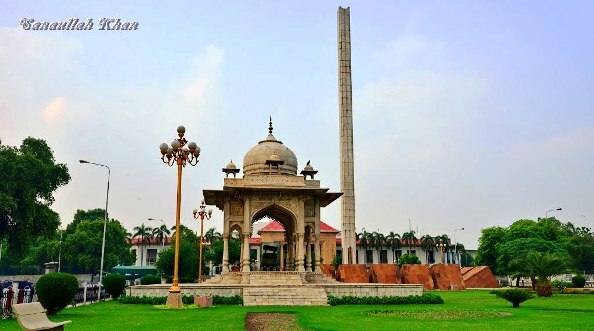 Race Course Park is one of the largest parks in Lahore, with a three kilometres long jogging track, snaking past meadows of lush greenery, beautiful fountains, a handsome playground and a gigantic polo ground. Every few yards, you will see gardeners diligently trimming bushes, watering the grass, or best, preparing a colossal flower garden for Lahore’s upcoming Spring Festival. Tall sunflowers, pink orchids and two-coloured roses steal the show with bright purple daisies and tulips not far behind. During spring, the park is a mega attraction for families, right after the commencement of the polo tournament. 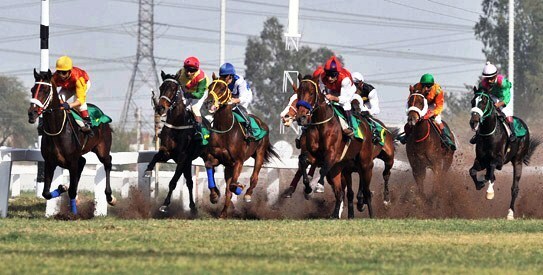 The polo ground with its ample seating capacity and restaurant, The Polo Lounge, provides Lahoris an enjoyable and relaxing weekend coupled with a game of interest and delicious food. If you see dhol walas dressed in yellow, standing around an enormous fountain roundabout, you instantly know that you have reached Liberty Market. During late evenings, the traffic at the roundabout is moving at snail speed. 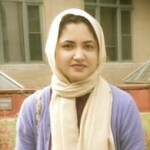 It is the time when most Lahori women head to Liberty Market on their frequent shopping sprees. Embroidered shirt necks, fancy heeled shoes, glossy lipsticks, shimmery earrings, dyed dupattas, experienced tailors, you name it; Liberty Market has all it takes for any woman to adorn herself with before attending a Pakistani wedding. Amidst all the shopping, do not miss out the spicy gol gappas and tangy shakkar kandee as well. 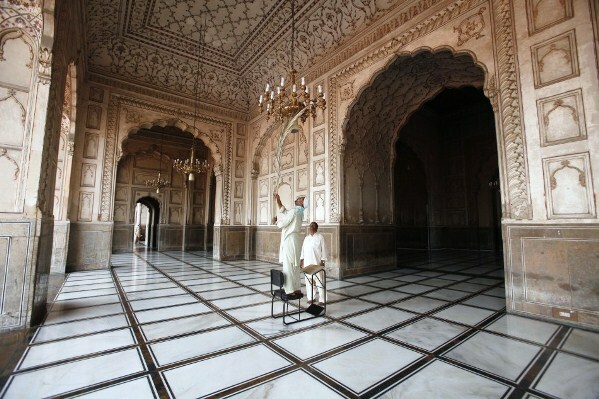 Amongst Lahore’s best landmarks and tourist attractions is Badshahi Mosque. 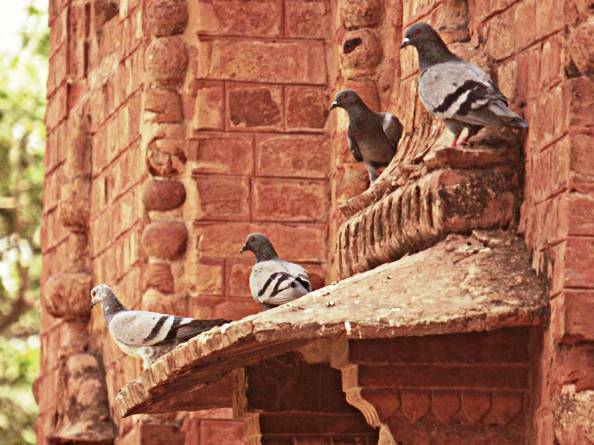 Its huge minarets and red sandstone walls are a glorious reminder of the Mughal architecture. 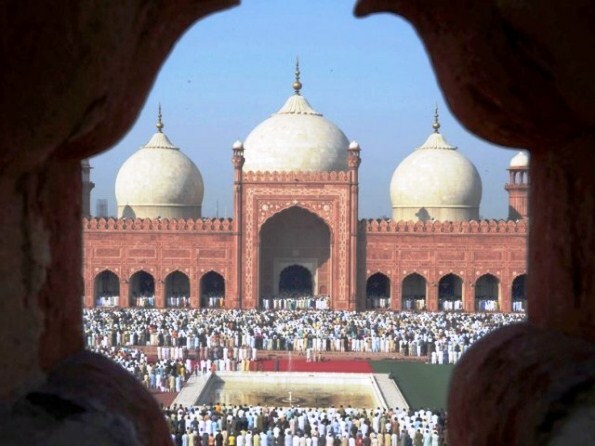 Located in close proximity of both the Minar-e-Pakistan and the Lahore Fort, the mosque serves as a major congregation centre for Eid prayers, with a total capacity of up to 60,000 worshippers. There is an emerging trend amongst elite Pakistani couples – having their wedding ceremonies inside Badshahi Mosque. Adorned in traditional white clothes, the newlyweds enjoy having their wedding photo-shoot besides the majestic background of the mosque. On our way back, we spotted a young groom lifting his bride up in the air, as a team of photographers captured the moment on their cameras. Lakshmi Chowk is the heart of all takka takk food items, prepared by the repetitive noise (takka takk) of cutters chopping sizzling meat over big hot tawwas (flat pans). 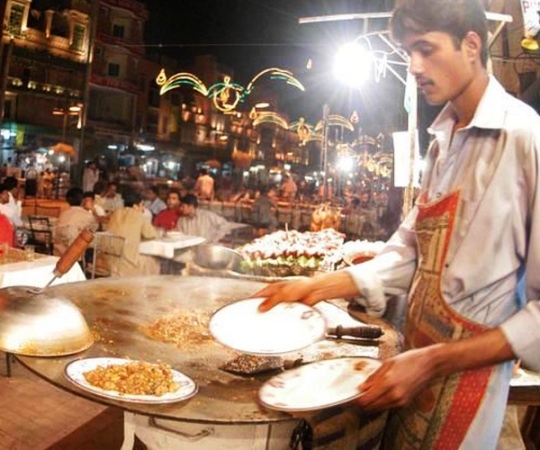 The fresh aroma of spices is the strongest in this part of the city, with cooks preparing food outside mini restaurants. Shahi Murgh Channa (royal chickpeas) serves the best chickpeas in the area, and undoubtedly, the most delicious in entire Pakistan. Soft and spicy chicken breast pieces sinking in a thick gravy of chickpeas tastes like heaven with a fresh tandoori roti, and cold mint raita. With insufficient seating capacity at the restaurant, some people eat in their cars, while others cannot resist the mouth-watering temptation, and start relishing every bite of the steamy dish by the counter. Every day at sunset, huge crowds are drawn towards the Pakistan-India border at Wagha Border. 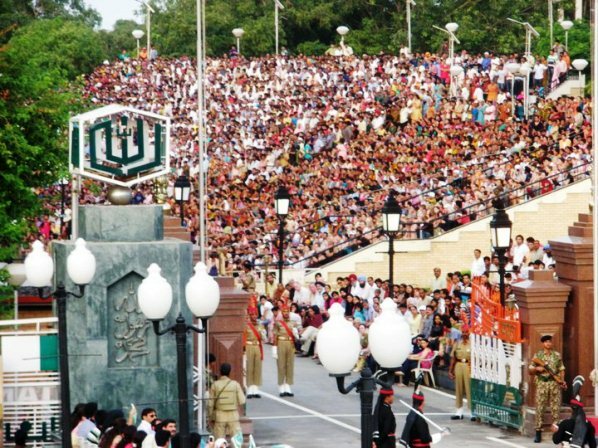 The flag lowering ceremony entails an intense parade by Pakistani and Indian Rangers, amongst amplified patriotic chants by Indians and Pakistanis seated on either side of the metal gate. 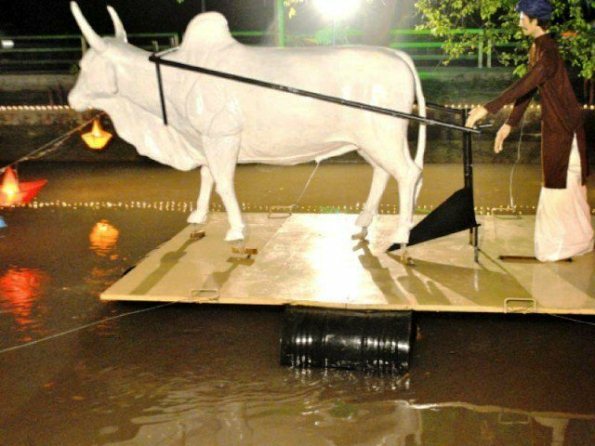 Lahoris, known for their great spirit, give the Indians a tough competition when it comes to cheering. Chacha Parade is an old, haggard man, with a penetrating voice. His single strong chant of “Pakistan” directs the huge Lahori crowd to saying “zindabad” in unison. Amidst dhol beats and prolonged clapping, the trumpet blows. Salutations are exchanged over the border, and both Pakistani and Indian flags are lowered. The sun sets in Lahore, but not upon its people who will cherish the memories of their Wagha parade for many days, with ample energy, enthusiasm and great food of course. Why don’t parents speak of the developmental challenges faced by their child the same way they do of their academic achievements? Do you know what your children are watching and playing during screen time?